Have you ever wanted to be that friend who has the job everyone else is jealous of? Are you looking for a company that you can be proud of and have fun at? Looking for a place where your voice is heard rather than just getting the simple “uh huh” from your boss anytime you come up with an idea? How about helping build something that will revolutionize an entire industry? Here at KYKLO we are doing just that! However, we are adding in some other amazing things to keep you happy while we are working on taking over the world. We give our employees unlimited paid time off. Go ahead, read it again... Unlimited paid time off. So what makes someone a KYKLOer? First is that you must love what you do. Second is that you are ready to learn and grow! 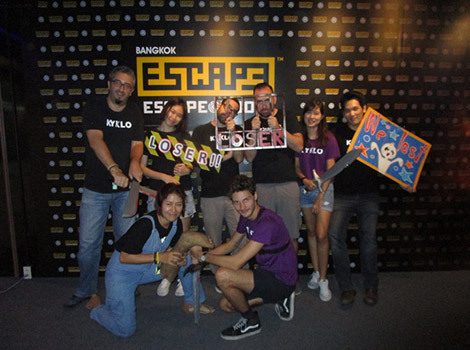 It doesn’t matter if someone has 1 year of experience or 10+ years of experience, here at KYKLO everyone will learn and grow both personally and professionally. As an expanding company into a new market it is important to us that you still feel supported and part of our family. Our employees are our best resource and we are working to build not only the best product but also an amazing place to work. Our hope is that you are ready to take on a fun and exciting challenge that will be rewarding while giving you a chance to learn and follow your passion. If that sounds like you then we look forward to welcoming you to our KYKLO Family! 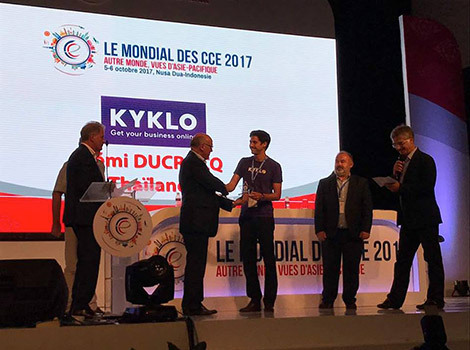 KYKLO is the first and only company willing to revolutionize the electromechanical industry by enabling retailers and distributors to start selling online and manage their business under their shop.com domain name. All within 48 hours. Our mission is to build the industry largest product database powering our clients online shops and helping them to capture the massive and untapped B2B e-commerce potential. High quality product data and related content are what makes an online shop successful. In KYKLO, we’ve integrated it into our customer’s shop, ready to use! Thanks to our B2B features, we enable our customers to drive efficiency by automating different business processes such as order management, product information management, discount prices matrix or customer relationship management. 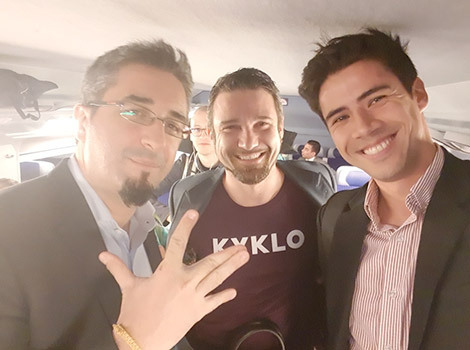 KYKLO is more than a “stand alone” and “ready to use” software : it is the platform that will make the electrical and mechanical community stronger thanks to product data sharing and peer to peer online transactions. 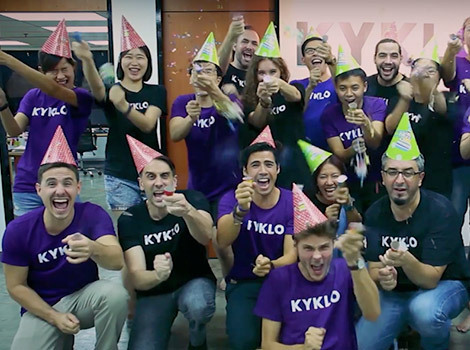 We are looking for a talented and motivated Business developer that thrives in a quick sales cycle environment and launch KYKLO in Chile. The successful candidate will play a fundamental role in achieving our ambitious customer acquisition and revenue growth objectives. Close sales and achieve a quarterly quota. Expected Outcome: Sign two qualified customers every month. Research accounts, identify key players and generate new business interest. Expected Outcome: Identify ten new leads per week through inbound leads and outbound cold calls. Expected Outcome: Qualify ten new customers every month within his/her assigned sales territory. Improve sales processes and KPIs. Expected Outcome: Have zero customers stop using the KYKLO platform within the first six months. 7+ years of experience in sales preferably from the electro mechanical industry from a distributor or manufacturer. Have a Bachelor’s Degree or above in Engineering or other Technical Field. Fluency in the local language plus a business level proficiency in English. Experience in selling/managing electro-mechanical distributors is a plus. Able to work from home while staying focused. Unlimited paid time off so that you may follow your outside the workplace passions or re-energize when necessary. Extensive training and learning opportunities. Be part of the highest potential B2B e-commerce company. Ability to grow your career in a rapidly expanding company. “Come as you are” dress code (shorts + T-shirt allowed) outside of client meetings. Joining a dynamic multi-cultural growing company that considers themselves family. Pay commensurate with experience plus monthly performance bonus.